In 2017, universal TV remote control code for Toshiba TV thermal model packaging: 1.Usually use PE and carton packaging,1pcs in one PE bag. 2.According customer's asked packaging. Toshiba Universal TV Remote Control is a new type of remote control with a comfortable appearance and is suitable for European, American, Asian and other markets. It is specially designed according to various TV sets to specifically solve the problem that the remote control damage is difficult to match. It integrates the main functions of the remote control, has a variety of TV specifications in one, uses imported chip design, stable performance, with large screen LCD Chinese display, at a glance, easy to operate. It uses an environmentally friendly ABS case and silicone buttons, with a total of 51 buttons. 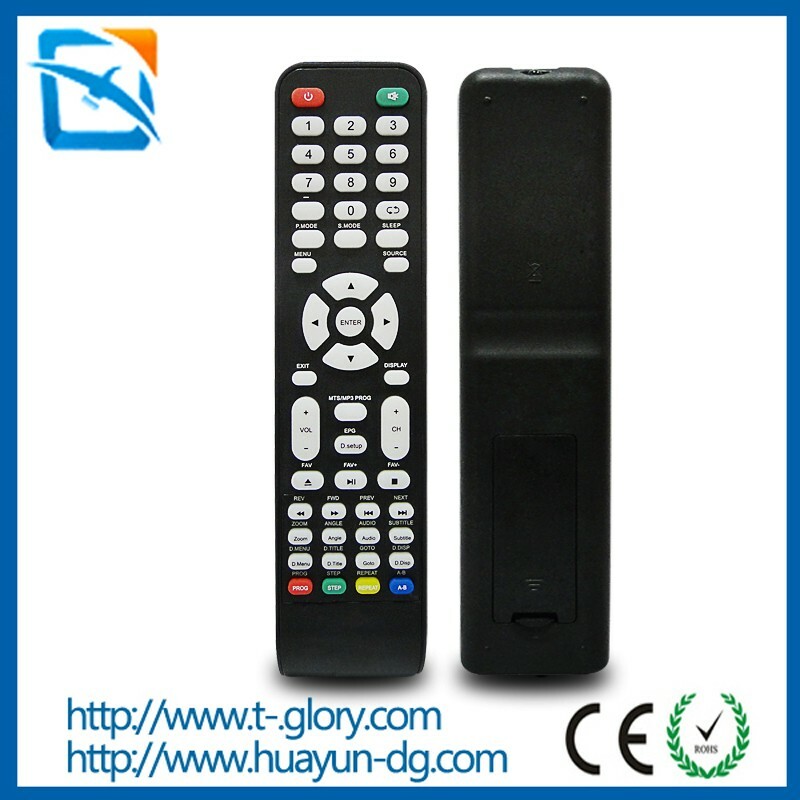 It can be customized for all types of brand TV remotes, set-top box remotes. It is a universal function remote control with learning function. If you want to learn the remote control, we accept the screen and function can be customized according to customer requirements. 1. The button feels comfortable, quick response, simple and clear to use, convenient and fast. 2. The remote control has high strength, good toughness and clear words, which is convenient for use in all ages. 3. It is made of healthy materials, and the quality is guaranteed, which makes people feel at ease.